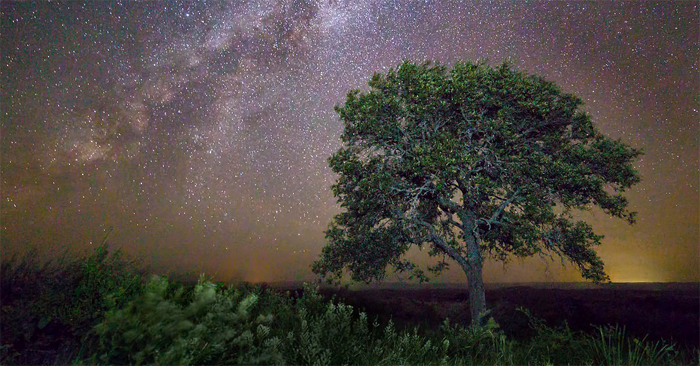 The Milky Way arches over a live oak tree in the Texas Hill Country. Photo by Ralph Arvesen. Today, River Hills Neighborhood Association (RHNA) is delighted to announce that it has been formally designated a Dark Sky Friendly Development of Distinction by the IDA. Tucked into a small neighborhood, just off Scenic Route 2244 in Travis County, Texas, U.S., River Hills is a topographically unique and hilly region within the foothills of the Texas Hill Country. In this tranquil area, big dark skies and clear starry nights still exist and provide a spectacular view of one of Texas’ great natural legacies. Since the International Dark Sky Places Program began in 2001, 15 Communities, 52 Parks, 11 Reserves, three Sanctuaries and four Dark Sky Friendly Developments of Distinction have received International Dark Sky designations. River Hills had to meet substantial objectives in supporting and promoting dark sky preservation, education and environmentally sensitive and responsible outdoor lighting and in demonstrating exceptional commitment to and success in implementing the ideals of night sky’s preservation and restoration over an enduring period of time. Next post: Be a citizen-scientist: measure the darkness of a total solar eclipsed sky!